Female empowerment is their enemy but apparently the Taliban have targeted a 14 year-old Pakistani schoolgirl as she rode a school bus in the Swat Valley to suffocate the dream. 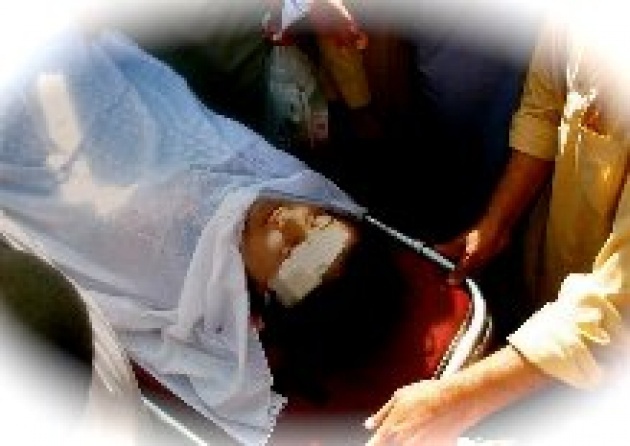 Malala Yousafzai was shot in the neck, (Photo Above), but doctors believe that she is now of immediate danger. Unfortunately though girls and young women are not out of danger as at least some elements of the Taliban seek to enslave society as well as females by denying both knowledge and opportunity. Most families as well as the Pakistani authorities are working toward providing education for all, (See Film Report: “Pakistan Schools for Girls-Boys Rebuild & Educate), but the Taliban stand in the way and are willing to kill children to impose their dogma, something that is also definitively anti-Islamic. The Taliban have sunk to become the biggest sinners against Islam as well as society and children in stooping to this assassination attempt. (Also See our Film Report: “Pakistan-Change in Perspective”). The International Day of the Girl Child was adopted by the United Nations General Assembly on December 19, 2011 voting to designate October 11 as the ‘International Day of the Girl Child’ following a two-year campaign spearheaded by Plan International with the support of the Canadian government and supported by a coalition of partners. According to UN Women: The day will promote girls’ human rights, highlight gender inequalities that remain between girls and boys and address the various forms of discrimination and abuse suffered by girls around the globe. Executive Director Michelle Bachelet has addressed girls around the world and emphasizes UN Women’s commitment to stand beside them in support of their rights and pledging that UN Women will work with governments and other partners to advance girls’ education, health and well-being in order to attain a world where girls can live free from fear, violence and discrimination. to empower women, a woman always stand up .